On October 6th, 1993 the world cried as the greatest basketball player of all-time, Michael Jordan announced his stunning retirement from the game. Sure the NBA had some superstars like Shaq, Clyde Drexler, Patrick Ewing and David Robinson, but there would be a huge hole left by Jordan's departure. Who could fill those shoes? Who would entertain the world? 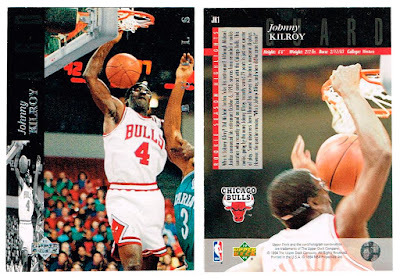 Enter a mysterious baller named Johnny Kilroy! I had totally forgotten about this mythical basketball player until I recently uncovered an Upper Deck card from 1994 in my collection that features Mr. Kilroy. This brought back so many memories and raised so many questions. Nobody knew where he came from, but the Chicago Bulls believed in his raw talent enough to sign him to an undisclosed contract in late 1993. Legend has it that on December 20th he scored 79 points in one quarter, but little to no evidence of this achievement exists! You can view the fan home video dubbed "The Popcorn" tape in the Steve Martin hosted documentary below. 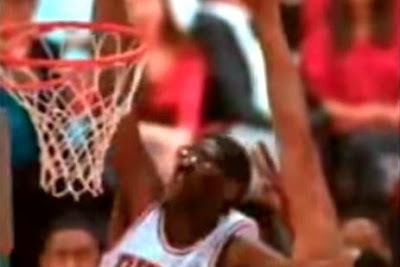 Was he Michael Jordan in disguise? 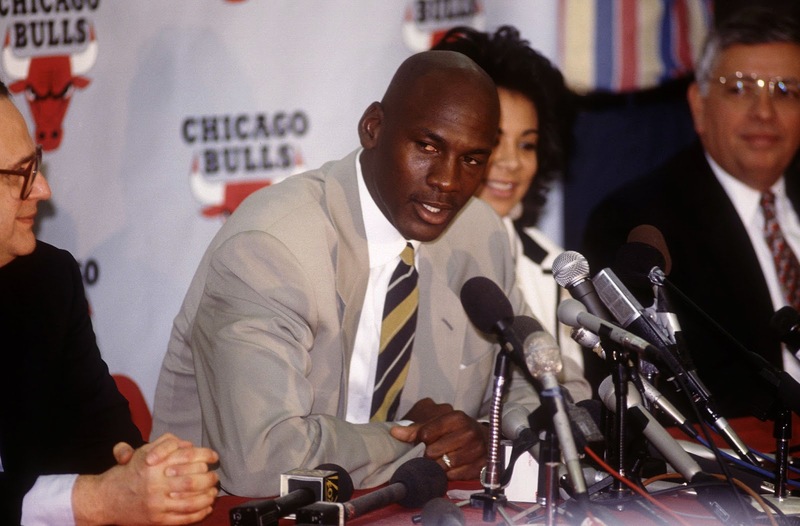 Was MJ's retirement a huge hoax? Was Johnny Kilroy even a real person? The only one who knows the real truth about Johnny Kilroy is...Johnny Kilroy. As of this writing he has not been available for comment in 20 years. We may never know the origin of this shooting star, but damn was it great to be alive when Johnny hit the court. You can still see his presence on the streetball courts today thanks to the folks at NIKE. God bless you Johnny Kilroy, wherever you are! Below are a few more documented Kilroy signings and opinions from NBA superstars. Who do you think Johnny Kilroy was? 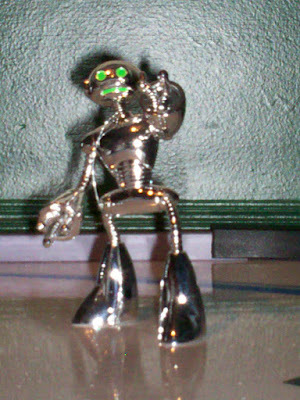 A 2009 vacuum metalized limited edition Fugitoid action figure by Playmates Toys. 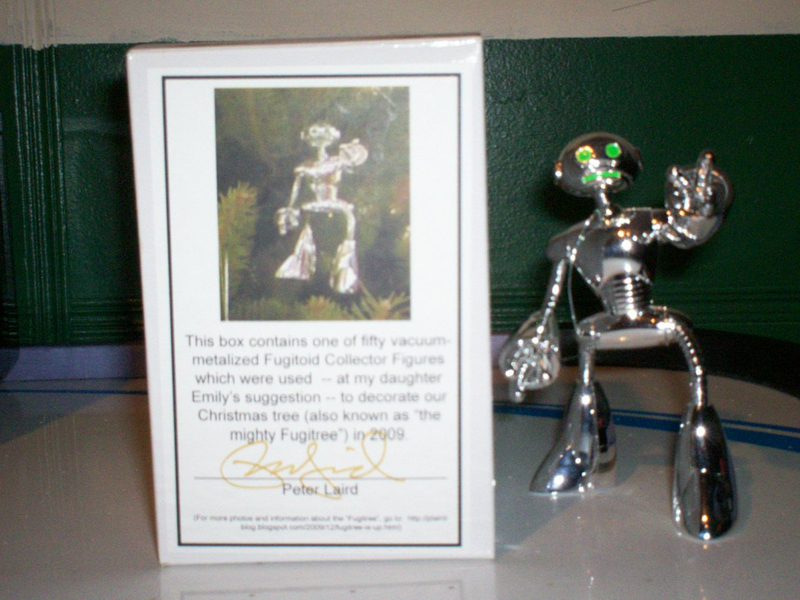 This is not just any Fugitoid action figure though. 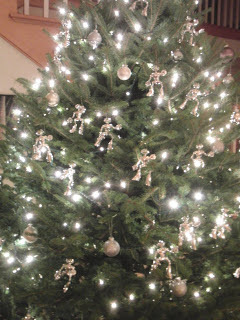 This figure hung on the Christmas tree of TMNT co-creator Peter Laird! Here's the story. In 2009 Mr. Laird's daughter Emily decided it would be fun to decorate the family tree with a bunch of these shiny, metallic Fugitoid figures. 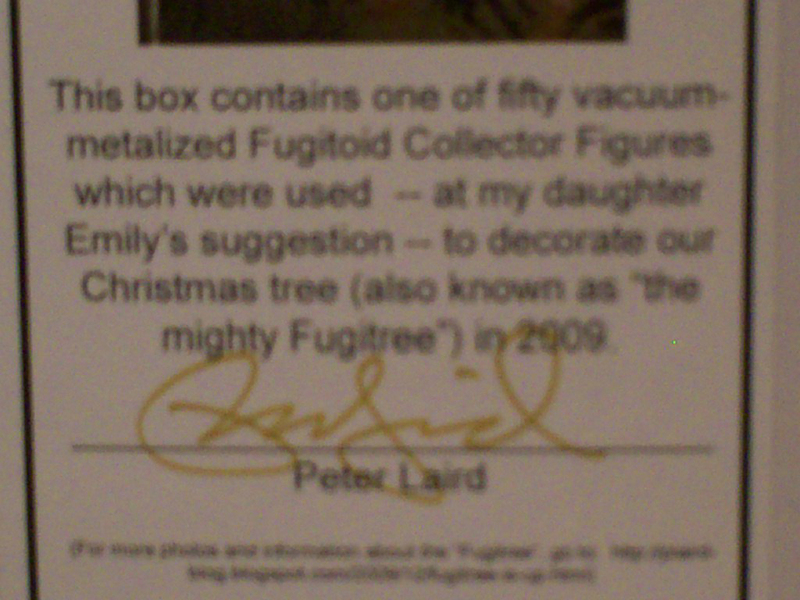 Peter Laird had a case of 100 of these figures and he himself opened 50 of the figures and attached an ornament hook to each figure. 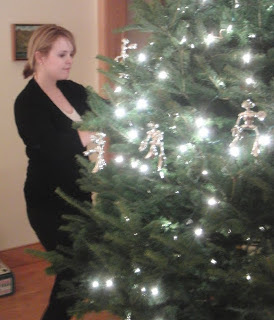 On December 21st the tree was decorated by the Laird family and the 2009 mighty "Fugitree" was born. 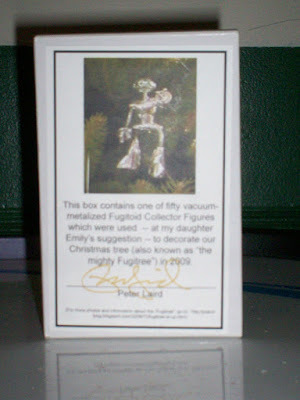 After the 2009 holiday season, the Fugitoids were boxed back up and sold through the Mirage Studios website for $25. There were only 50 of these items available, and I got one! This guy holds a prominent spot on my shelf of fame in the basement. Each Fugitoid came in a custom box made by Peter Laird with the story of the Fugitree printed on a sticker on the front of the box. 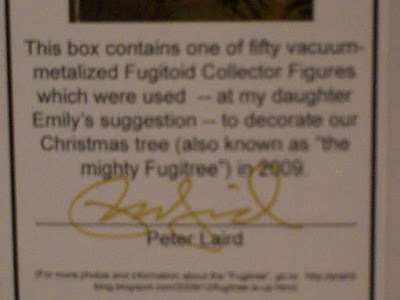 The coolest thing was that the boxes were personally signed by Peter Laird. I am so glad to own this piece of TMNT history. 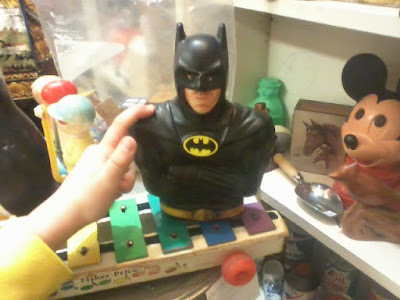 It is a rare item that was used in the home of one of my comic book heroes. I feel this piece would fit into any museum of pop culture and would make any Ninja Turtles fan oooh and ahhh at it's appearance. 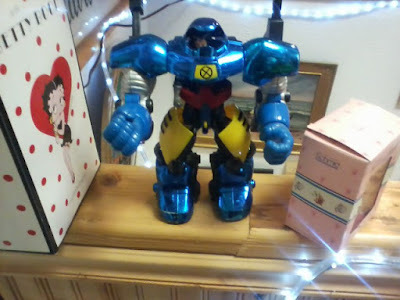 And yes, my Fugitoid still has the ornament hanger on him that Peter Laird twisted around his neck for future tree hanging experiences. 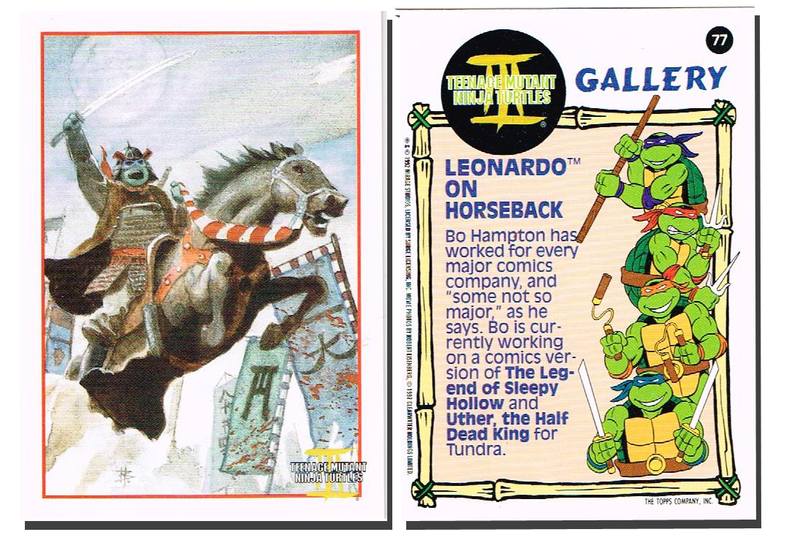 If you would like to read more about the Fugitree, the history of the Teenage Mutant Ninja Turtles or the thoughts of Peter Laird, please visit his TMNT blog by clicking HERE! The Laird family photos in the above post were from his website. Check out Toy Break's post. 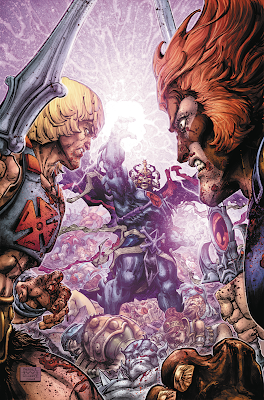 He has a pretty interesting mash-up to show off! A few months back I uncovered a copy of Cartoon All-Stars to the Rescue at a local thrift shop. 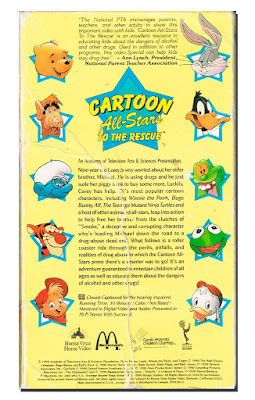 This was a video put out in 1990 by Buena Vista Home Video that taught kids about the negative effects of drugs. 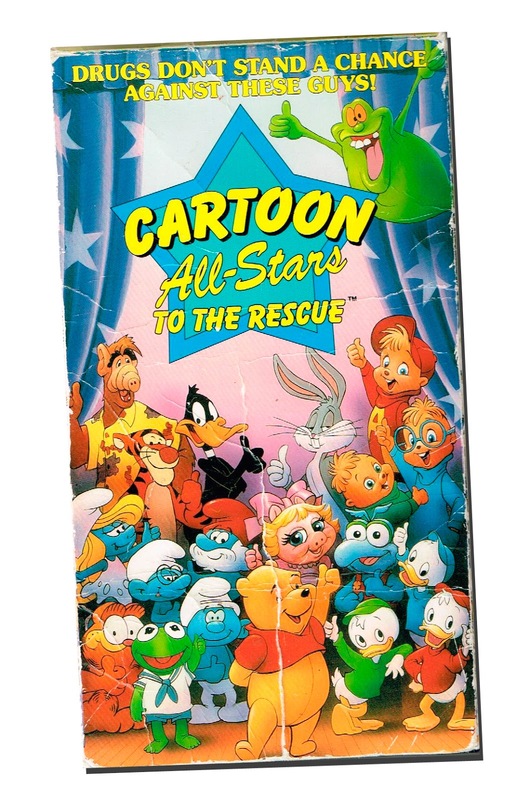 It featured almost all of the top cartoon stars at the time including Pooh Bear, The Smurfs, The Chipmunks, Alf and many more. For $0.25, I could not pass this up. 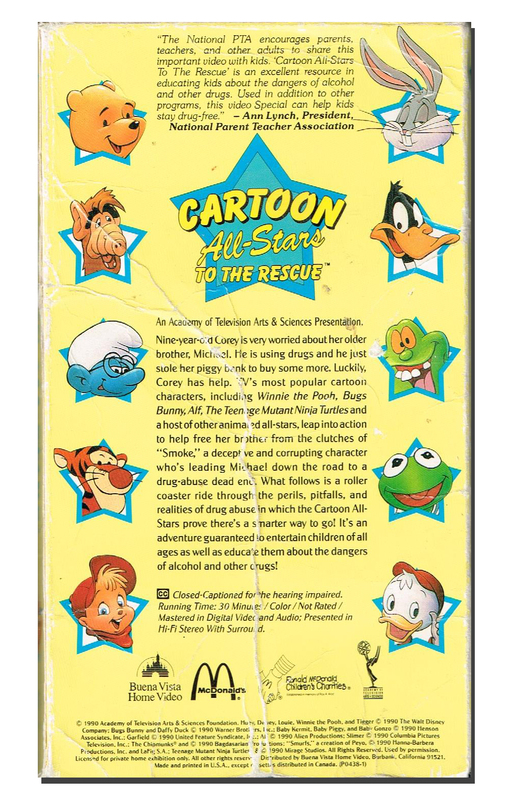 I remember watching this video in school during our D.A.R.E program with the local police. It was always great to be able to watch TV in school, but this was amazing! All of these cartoon characters together in one video! That sound you just heard was my 9 year old mind being blown! Like I said the video included so many classic characters, here are my top 5 favorites from Cartoon All-Stars to the Rescue! This video focuses on a boy named Michael and how drugs have affected his relationships with his friends and sister. 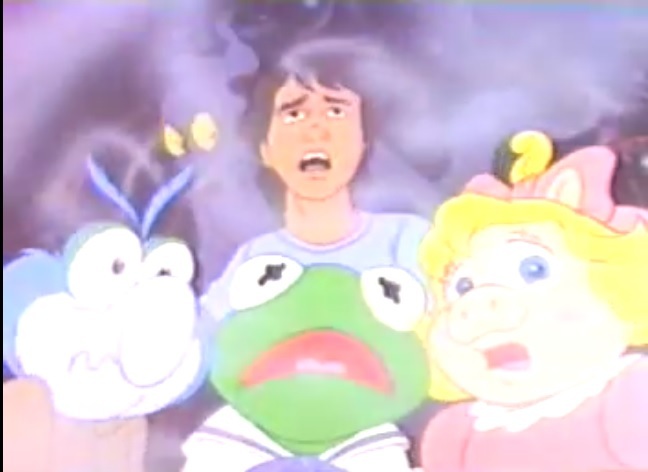 The Muppet Babies (Gonzo, Kermit & Piggy) take Michael on a journey through his brain & body to show him how drugs are also messing with his health. They do this by riding a roller coaster through Michael's body with the power of imagination! Slimer's time in this video is very limited, but when he is on screen he eats a lamp that is shaped like a fruit buffet. Bugs has a pretty big part in Cartoon All-Stars to the Rescue. He uses a time machine he got from a "Coyote" to take Michael back in time to see how his drug problem started. 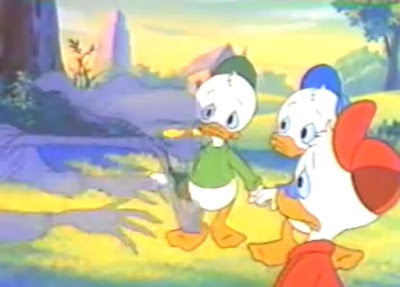 These triplets from Ducktales educate Michael and the viewers on the million ways there are to say no. Of course they are asked to do drugs by Mr. Smoke Monster and this leads them into a song on how to say NO written by Academy-Award winning composer Alan Menken and Howard Ashman! Pretty catchy song with a lesson that I can still use today when monsters try to bully me into using crack! It happens more often than you may think. Just like Slimer, Mikey doesn't have a huge part in this video, but when he shows up on screen the excitement ramps up big time! 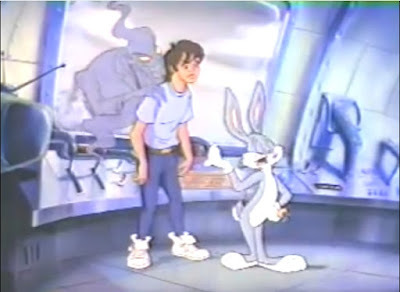 Just the fact that the Ninja Turtles were in this movie for 2 minutes was enough to lure me in as a kid. Anything with the Turtles in it was worth watching, educational or not! Those are my top 5 characters from Cartoon All-Stars to the Rescue. Who was your favorite? I would like to see them do a remake of this video with characters from the most popular cartoons of 2017. Maybe the would include Sponge Bob, Finn & Jake, Batman, Skylanders and a return of the Ninja Turtles! I would watch that with my kids! You can watch the original in all it's anti-drug glory at the link below. ENJOY!!!! "Let's Do The Space-Warp Again!" 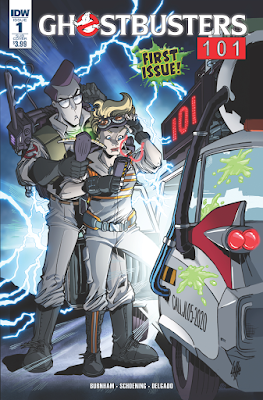 Before they began investigating the supernatural, most of the original Ghostbusters were teachers... and they've decided it's time they start sharing their knowledge again. But when their first batch of students start poking around the firehouse and accidentally set in motion the merging of two universes (it's easier than you'd think) Venkman, Stantz, Zeddemore, and Spengler will need all the help they can get to put things right! And who do you think will Answer The Call? (If you guessed Holtzmann, Yates, Tolan, and Gilbert... you get a gold star!) 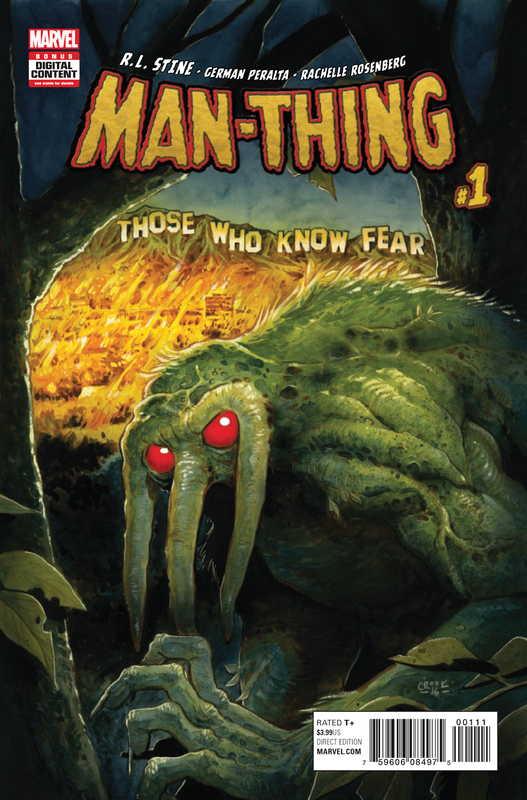 It's a brand new inter-dimensional meeting of the minds, starting here! Back in the mid 90s this cartoon was revolutionary. It was fully animated with computer graphics and the story line, while being kid friendly, still had enough edge to appeal to older viewers. I watched a few episodes here and there, but was never an avid viewer. I own these cards due to the packs being included in the before mentioned Dollar Tree Comic Value Packs. 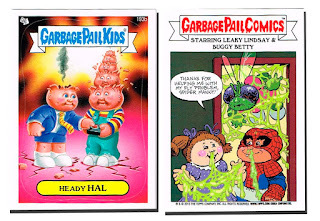 If you have read my blog recently, you can tell that I love Garbage Pail Kids. Me and my older brother collected them as kids and any time I see a new series on the shelves, I have to pick up a pack for nostalgia's sake. This card stood out to me because of the inclusion of the original GPK, Adam Bomb. That guy is classic! Also, the Spider-Man inspired comic on the back of the card was brilliant! 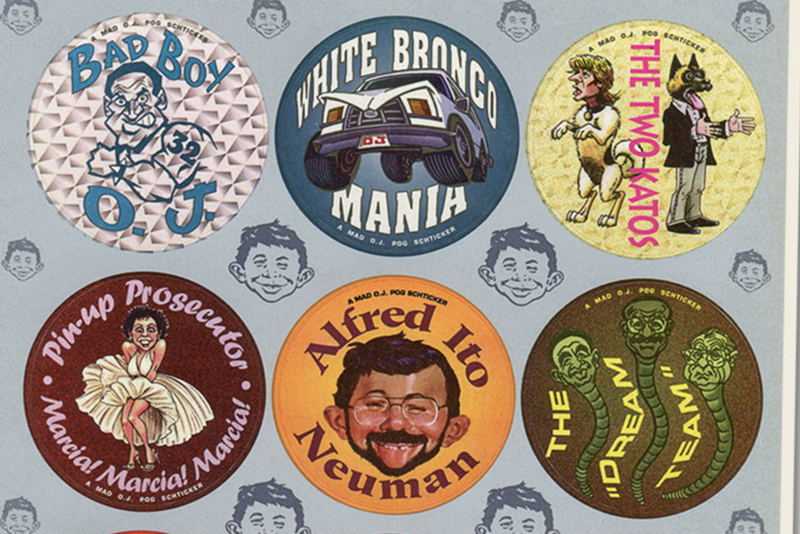 Who didn't have one of these sticker albums back in the 80s & 90s? They covered everything from Ninja Turtles to Major League Baseball to Beetlejuice! 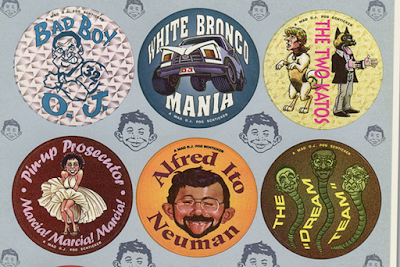 The books were fun and the packs of stickers were usually around $0.25 each. So it was a cheap way to keep us kids entertained. 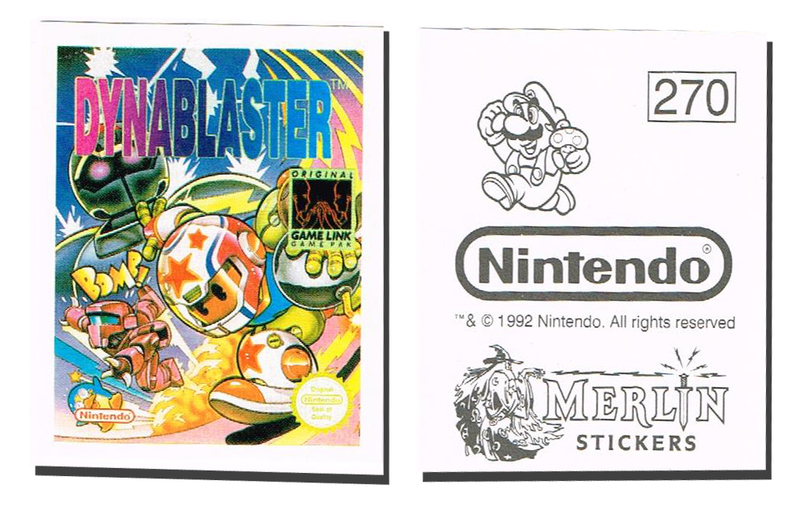 I like this sticker not only because it's from Nintendo, but because of the old school Gameboy box art. 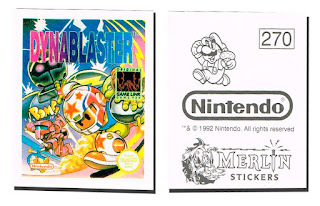 I never played Dynablaster. 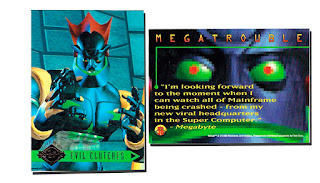 Maybe I'll have to find a copy? Oh Star Wars. 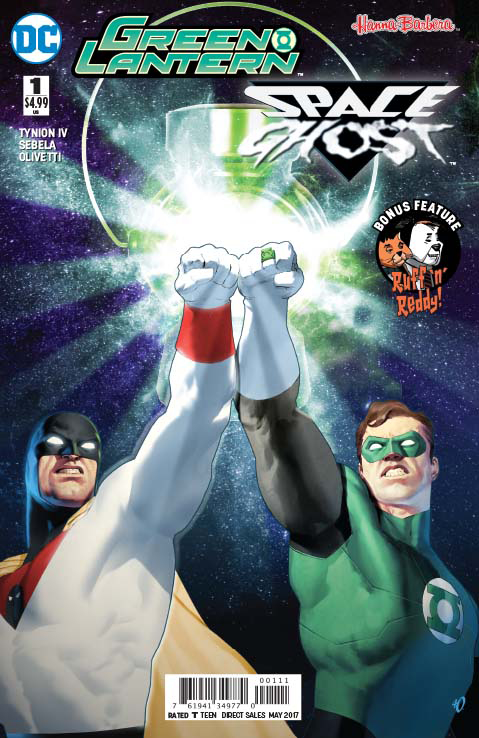 The common bond that everyone had in common. Every kid was a Star Wars fan. From nerds to jocks everyone could agree that Star Wars ROCKED!!! 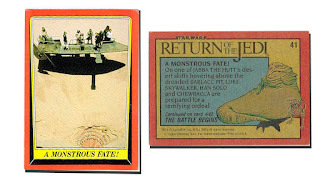 I did collect these cards as a kid. 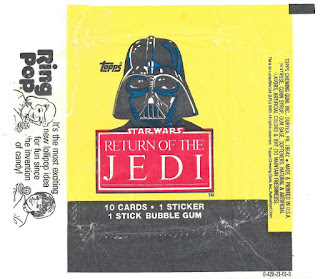 Return of the Jedi is probably my favorite Star Wars movie. I know most people will pick Empire Strikes Back as the superior film, but this was the movie I watched religiously as a bright-eyed young kid. 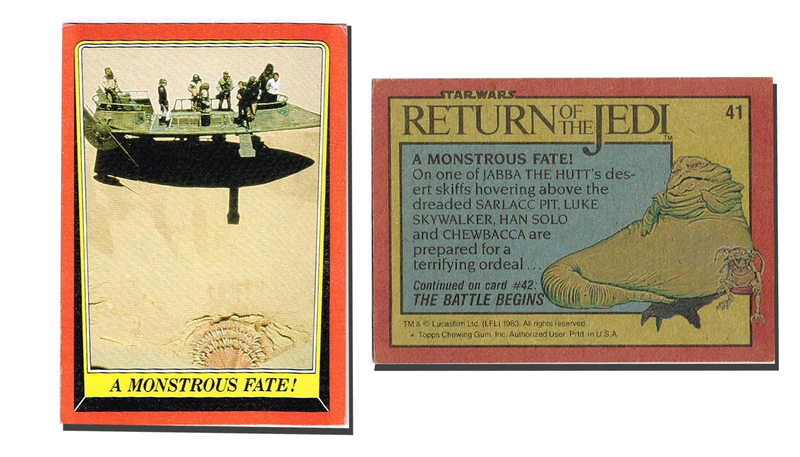 In my opinion, this card is great because it depicts the Sarlacc Pit in all it's glory, before Lucas added tentacles and a beak! Why was that necessary? 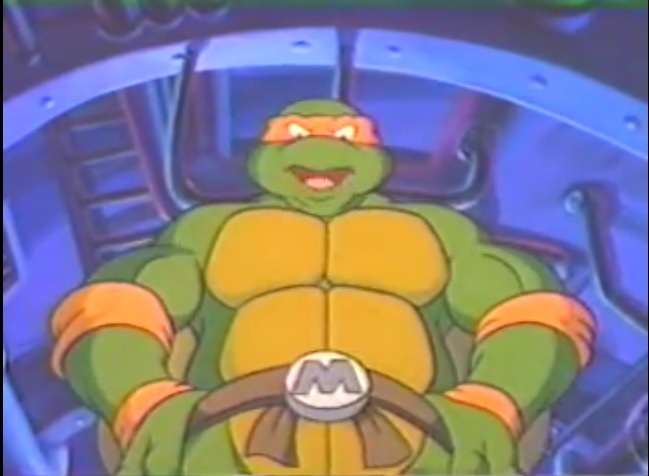 The most despised of all the Ninja Turtles movies, until Michael Bay came along. Ninja Turtles 3 suffered from a lot of problems. Poor story, bad costumes and rushed production. It was still Turtles, so I bought into it and tried really hard to like this movie, but I just can't. After the greatness of the first 2 Turtles flicks this was a huge disappointment. 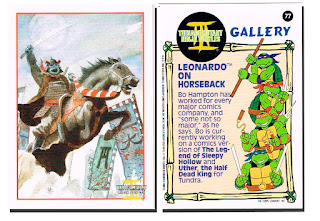 I have a few of these cards in my collection and really do like these art cards, but it's not enough to redeem TMNT 3 from how bad it was. 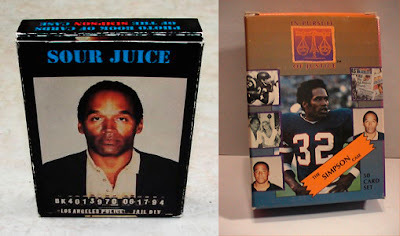 This O.J. Simpson Pog Slammer! 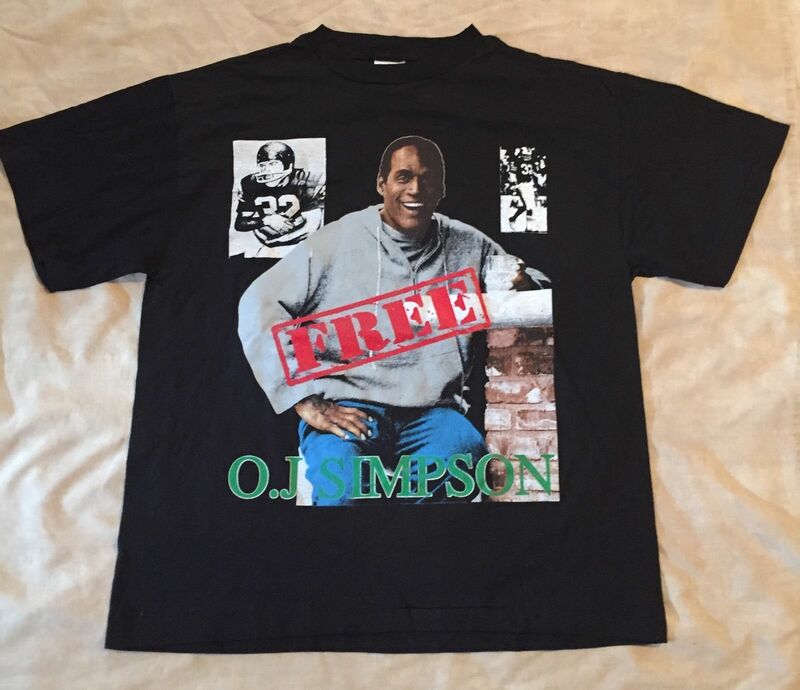 It was only $1 and reminded me of the trial that had everyone glued to their TV in late 94 through early 95. When I say this trial was big, I mean it was huge! Everyone knew the details of the crime, everyone had their own opinion and every TV station covered the case religiously! It turned Johnny Cochran, Judge Lance Ito and Robert Kardashian into stars. The phrases "If it doesn't fit, you must acquit" and "The Juice is loose" became a part of everyone's vocabulary. 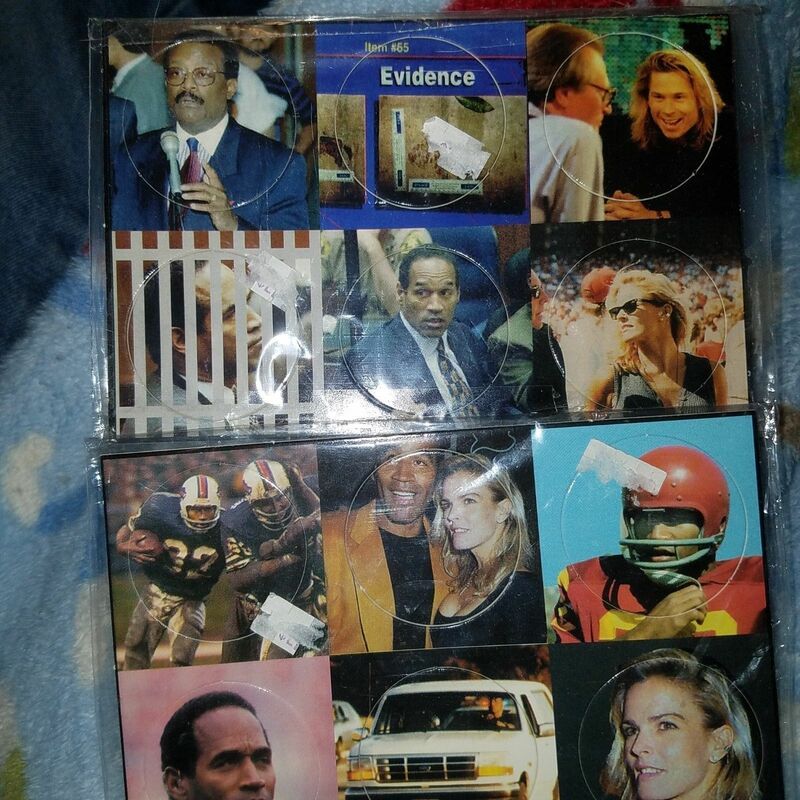 As you can imagine, with a huge, high profile case like this a lot of people wanted to cash in on the celebrity of former NFL superstar O.J. Simpson. 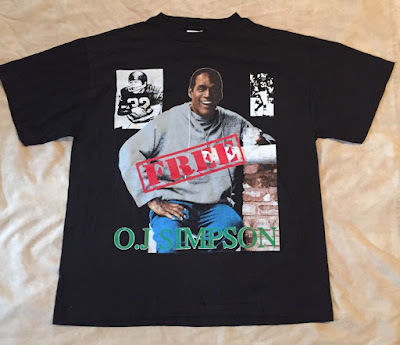 And then we had the official O.J. trial Pog sets. Which is where I assume my Slammer came from? My biggest memory from this event was watching Game 5 of the NBA Finals between the New York Knicks and Houston Rockets, then news came in that O.J. was on the run in a white Bronco driven by former O.J. teammate Al Cowlings in a slow paced chase with the LAPD. NBC disrupted the broadcast of the game to show the chase and put the Finals IN A SMALL BOX AT THE BOTTOM OF THE SCREEN! I was kinda pissed about this! 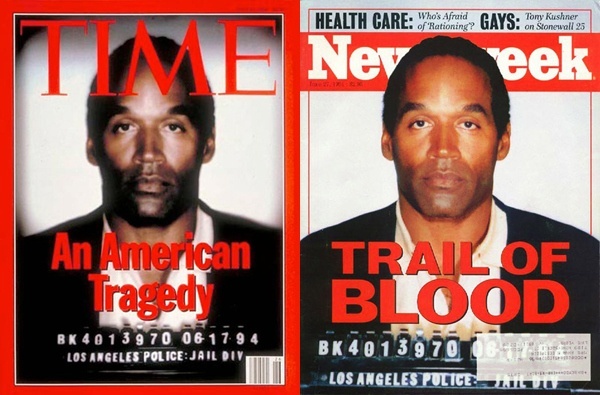 Now over 20 years later there has been an award winning mini-series (The People vs. O.J. Simpson) and award winning ESPN documentary released about one of the highest profile court cases of all time. People are still cashing in on this tragedy! 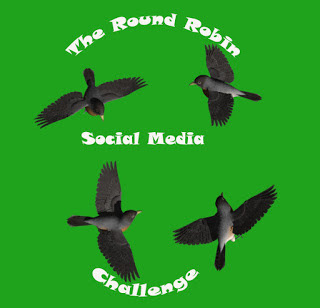 Not sure I will watch them, but damn can you imagine if this all went down in the time of social media and smart phones? It would have been craziness! 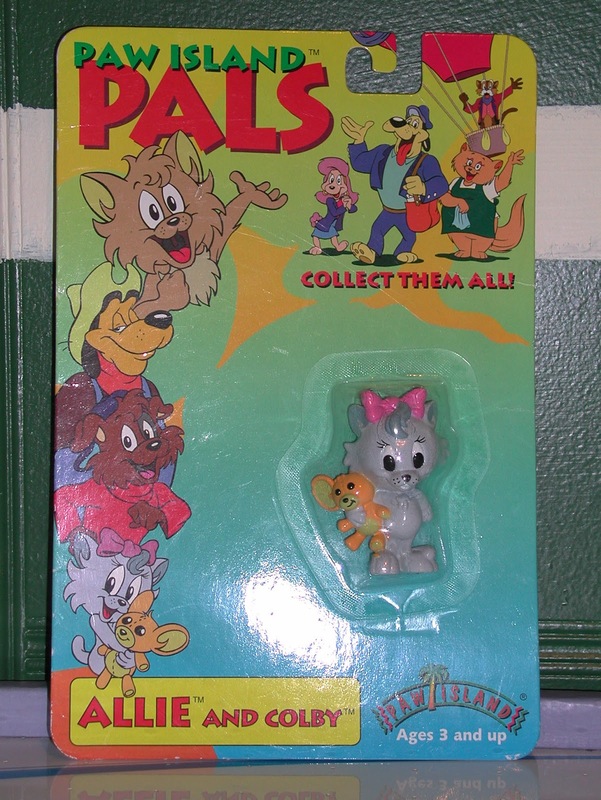 While checking out the toy section at the local Goodwill store I saw this Paw Island Pals figure of Allie the kitten and Colby, her teddy mouse. 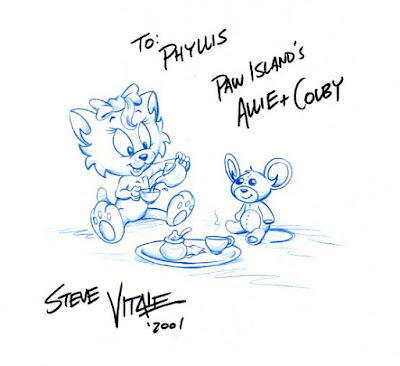 I have no idea what Paw Island Pets is and tried Googling them for more info. I couldn't find anything on this toy line except a blog entry from a gentleman who goes by the handle LooseToon. 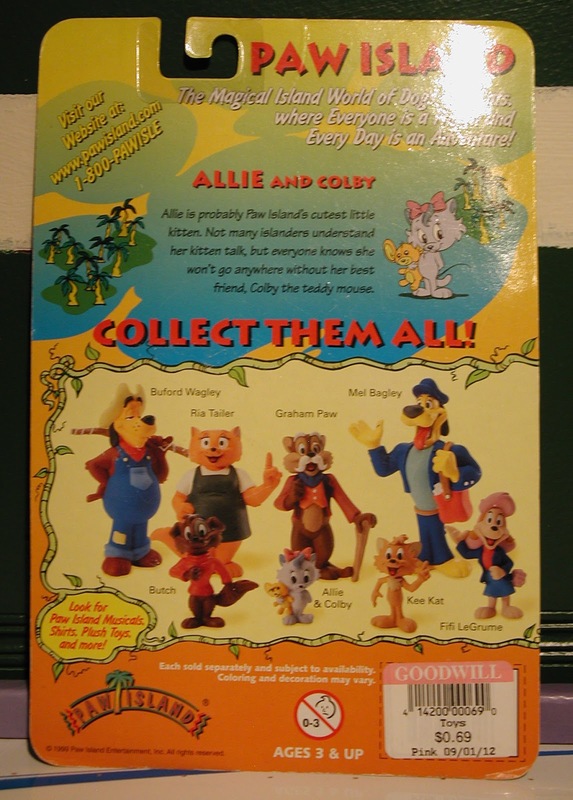 LooseToon aka Steve Vitale used to work for the Paw Island company that produced these figures. According to his blog Paw Island was a children's entertainment company that focused on books and a website that had games, activities, cartoons, etc. You can read more on his page by clicking HERE! Apparently there was a whole line of these little guys released in 1999 by Paw Island. I do like the cartoony look of the characters and wish I could find one of the videos, but I checked YouTube and there is nothing to be found. What were these cartoons like? Were they adventures like Duck Tales or moral based like the Get Along Gang? So many questions! I guess I will never find out the answers! But for $0.69 it was a no brainer to pick this cute little toy enigma up! This past weekend was amazingly beautiful. The weather was in the 60s, the sun was out and the wind was minimal. Since the winter has been so harsh, me and my family decided to take advantage of this glorious day, walk around and visit the shops downtown. 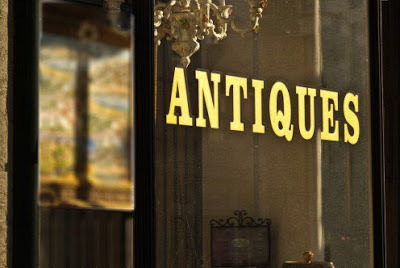 One of the kids' favorites was a store called Yesteryear's Antiques. Here are a few of my fave items we spotted. 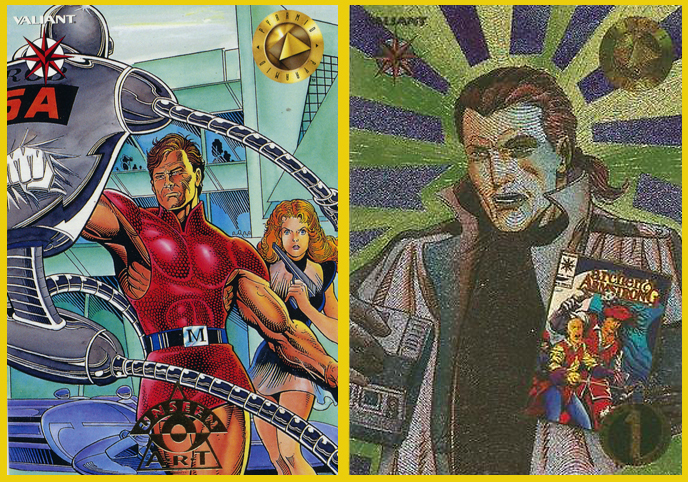 Back in the early to mid 90s every young boy was into the X-Men thanks to the Fox Kids cartoon show and Marvel comics. Toy-Biz made a ton of toys based on this franchise from the awesome to the ridiculous. This toy falls somewhere in between for me. It is awesome because who wouldn't want their favorite hero wrapped in an impenetrable suit of armor. On the other hand, why would Wolvie need a suit of armor? I just love looking at these old Beer advertising signs. 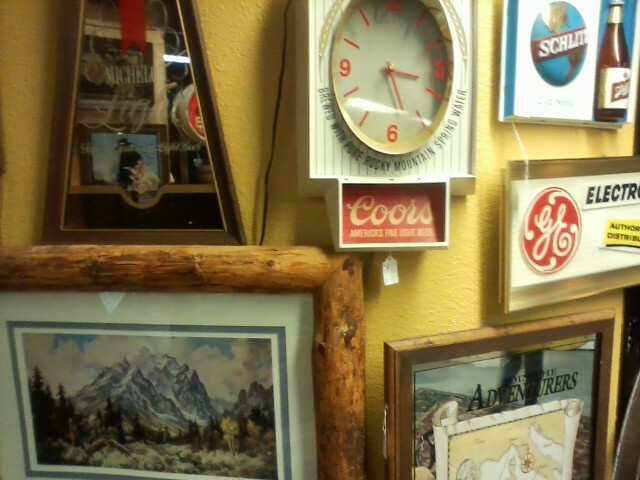 They had everything from mirrors, neon and light up signs to advertise every brand from Bud to Schlitts. 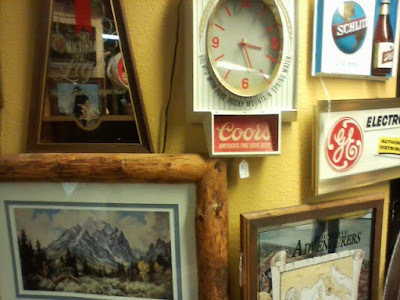 I just look at these old signs and wonder where they hung before making it to the antique store. A pool hall, seedy bar, biker club or a basement? All I know is I want one! I loved Chilly Willy the penguin growing up. I had a stuffed Chilly Willy doll that I carried around with me everywhere. I really wanted this glass, but I felt the price was a little to high. But, when will I ever see one again? Dammit! Now I feel like I need to go back and grab this! Another item I really wanted to pick up. It was in great shape, but I just couldn't justify the price. 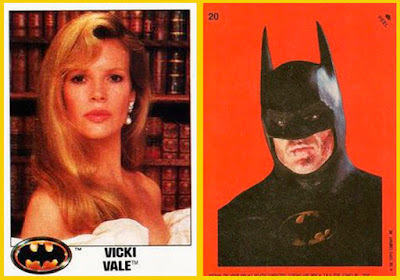 If it was still shrink wrapped to a box of Batman Cereal as it was originally produced in 1989, then hell yes I would have picked it up. I never owned this as a kid, but still have fond memories of seeing it in the cereal aisle next to Cap'N Crunch and the Trix Bunny. 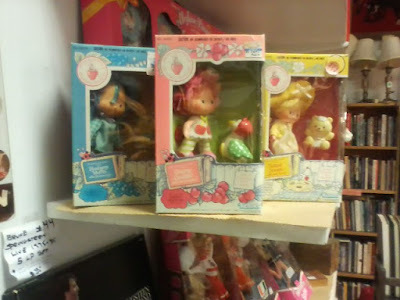 I never played with Strawberry Shortcake Dolls, I don't plan on collecting them, but it was cool to see them on the shelves of this store in their original packaging. I wonder if they still smell like berries? You always find crazy things at the Antique store and this was one of them. If I had an old projector, just maybe then I would have picked this up. 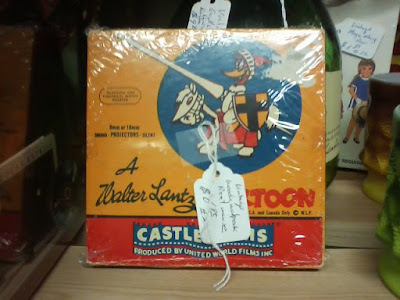 An old Walter Lantz Cartoon on reel, AWESOME! This is an item I never knew existed. 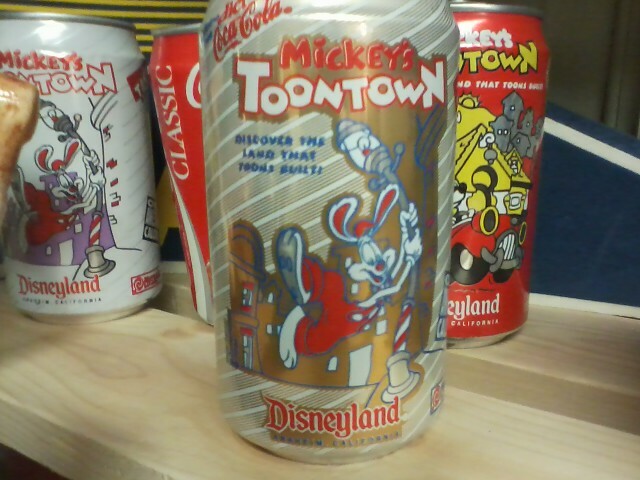 I never knew Coca-Cola made special cans that were sold only at Disney Theme Parks. The possibilities here are endless! I liked these cans simply for the fact that they featured Roger Rabbit on them. I was a big fan of the movie when it came out in 1988 and it is always nice to see Mr. Rabbit get his due on any Disney Merchandise. 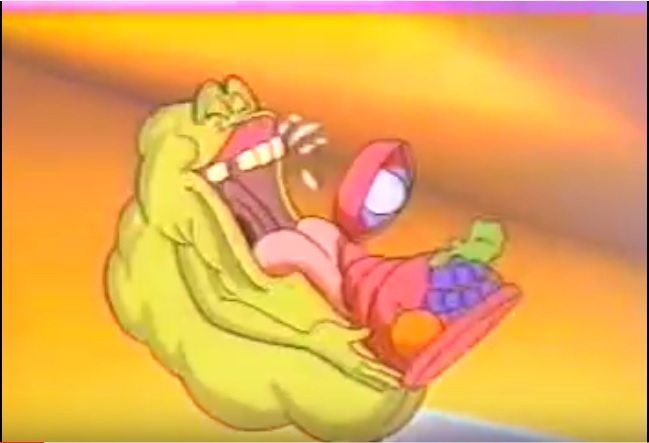 Now take some time off and enjoy the Roger Rabbit short "Tummy Trouble" featuring Baby Herman! "So tonight gotta leave that nine to five upon the shelf, and just enjoy yourself" with these Michael Jackson trading cards! 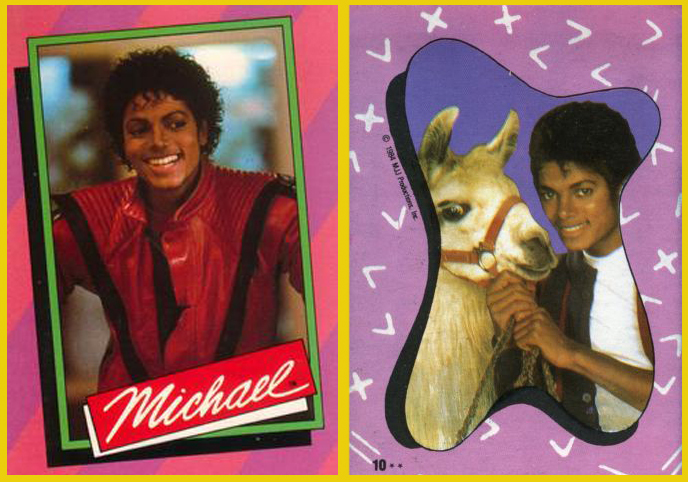 These Topps trading cards came out around the height of Michael Mania. There were dolls, fan clubs, t-shirts and Pepsi commercials. 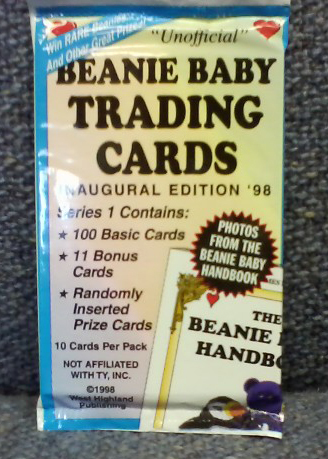 So why not a trading card set? 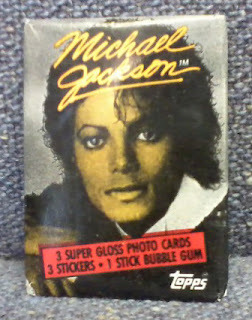 This first series set contained 33 cards and 33 stickers that highlighted Jackson's career to this point in '84. What kid wouldn't want a sticker with Michael & a llama on it? 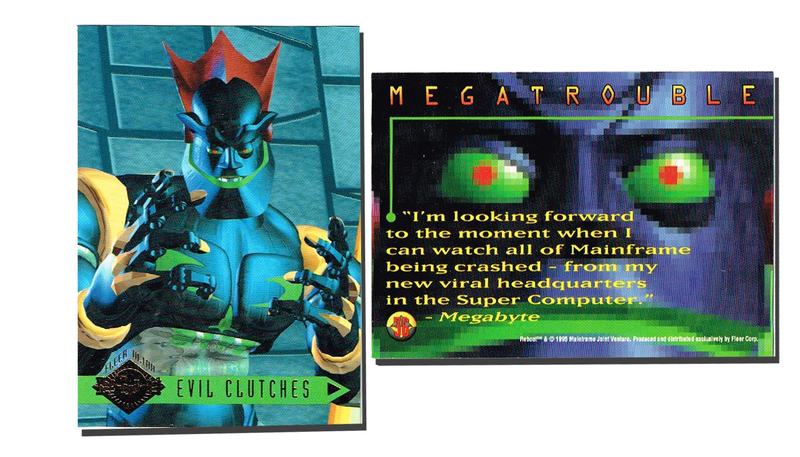 These came out during the much hyped comic book boom of the 90s. Independent comic companies were the flavor of the month and none other was hotter than Valiant. 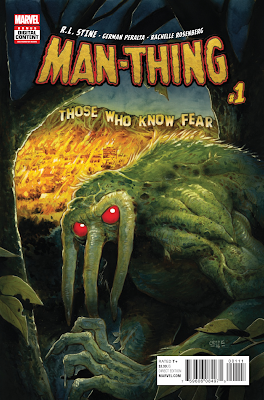 They had major success with titles like X-O Manowar, Turok: Dinosaur Hunter, Magnus: Robot Fighter and even a line of Nintendo comics. 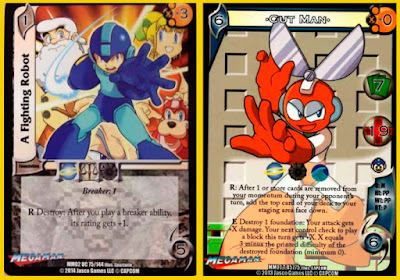 Why not create a card set based on these characters? It was like printing money back then. 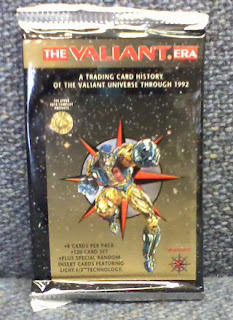 This 120 card set included randomly inserted Light F/X Technology chase cards. I never found one...yet! Ah, Beanie Babies. I have a history with these cute stuffed critters. 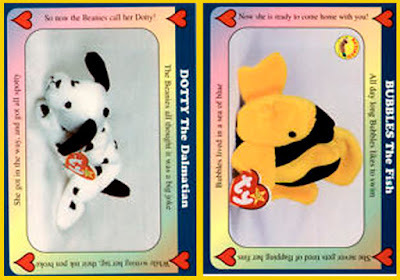 In the late 90s/early 2000s, I worked in a small toy store in NJ that specialized in rare and retired Beanie Babies. 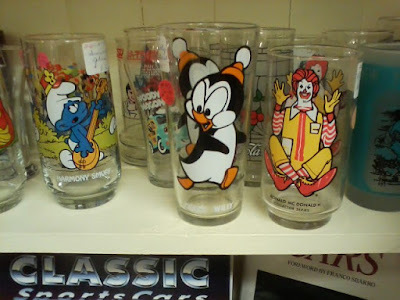 We would sell these things online for hundreds of dollars a piece! I spent so much time checking tags and putting clam shell protectors on these toys that I never wanted to see them again. Now my kids love them and they have a small collection of their own. But, nothing can match the craziness of the collector's market when Beanie Babies were at their peak. These "unofficial" trading cards come close to doing just that! I just recently picked up this pack of cards on clearance. 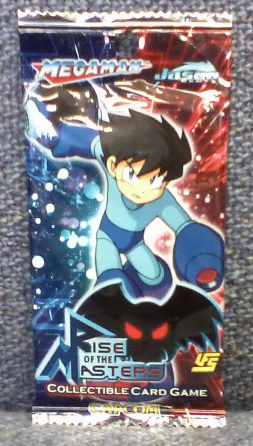 Why wouldn't I pick up a pack of Mega Man cards at 60% off? 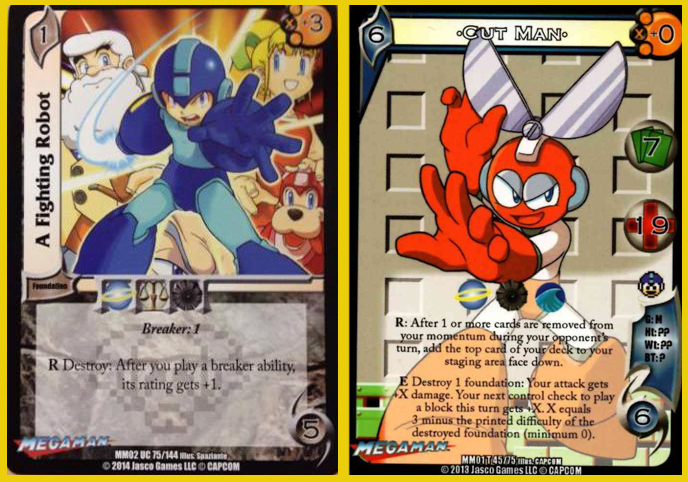 I do not play collectible card games, but I have been known to enjoy a good Mega Man game from time to time. My favorite being Mega Man 2 for the NES. Oh man! I loved this movie! I still remember going to the Mall movie theater and seeing it in the summer of 1989. You couldn't go anywhere without seeing someone wearing a Batman shirt, backpack, pin or sticker on their body somewhere. 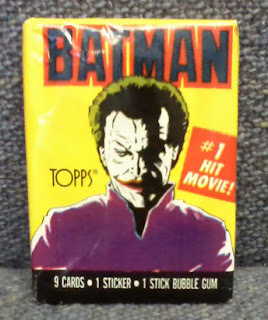 Was I the only one who got asked way too many times if I "Ever danced with the devil in the pale moonlight"? 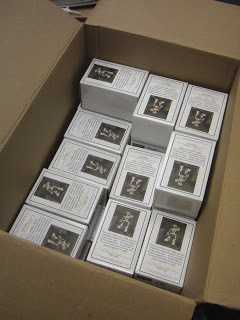 Between myself and my brother, we were able to collect the entire 132 card set. I still have it today and it is one of my cherished childhood items.